So writes Spinetingler Award nominee Paul D.Brazill at the beginning of this eagerly awaited collection of his short stories released by Trestle Press. This collection has been much anticipated by those involved in the genre and fans of the gritty, witty writer. A full review of will follow but this is a Clarion call for you download this excellent collection. 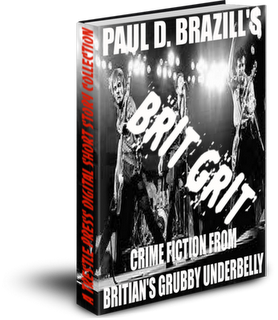 Paul is already romping up the kindle chars faster than Usain Bolt on speed so please help this ambassador for British crime fiction achieve the success he richly deserves.